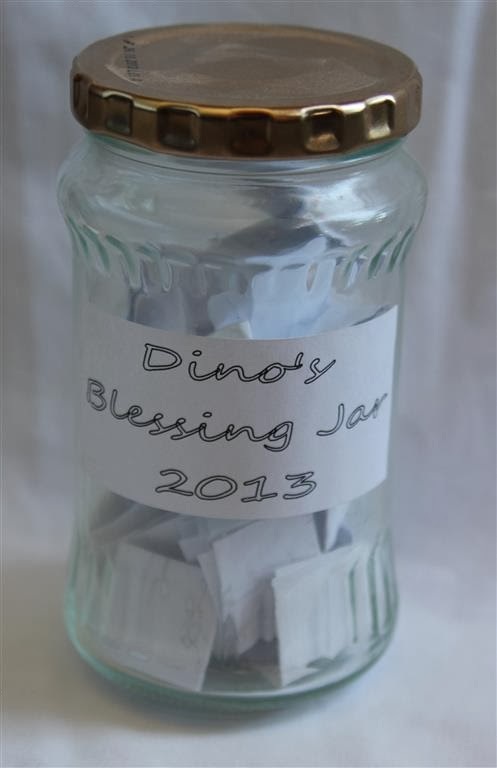 I'm not a journaling kind of person and keeping a diary of any kind is something I'm appallingly bad at, so when I came across the idea of a Blessing Jar late last year I thought it was a great idea and was determined to give it a go. 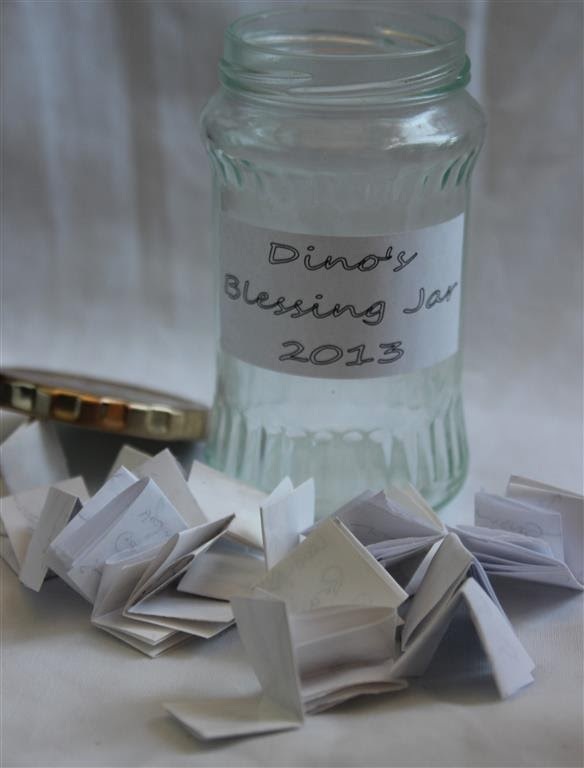 So here's how it works... each time you receive a blessing from God, no matter how big or small, no matter how important or trivial it may seem, you write it down and pop it into the blessing jar. Then at the end of the year you revisit the jar and the blessings it contains. The joy of this is that there are so many blessings that you've completely forgotten about, and it is truly a joy to look back on the year and remember just how blessed you were. It's also a great reminder that God has us in the palm of his hands and he really does mean what he says in Matthew 6: "But if God so clothes the grass of the field, which today is alive and tomorrow is thrown into the oven, will he not much more clothe you, O you of little faith?" Overall I'm quite pleased with my efforts. I tailed off in the latter part of the year but for a non-journaling kind of guy it's not a bad first attempt. The first blessing of 2013 was three of our church members rocking up to our New Year's Day braai sober. This really blessed me. On the 20th January I was tremendously blessed as I was appointed/anointed as the lead elder at Tree of Life. God is good! I was blessed with a gift that allowed me to buy some new clothes. A rare treat. We got to spend an afternoon with a wonderful couple called Lionel & Rose who prayed and prophesied over my family, especially my boys. What an amazing privilege this was! At a leader's meeting in August I was thanked for trusting my leaders and giving them the freedom to grow. This made my heart soar! I was privileged to deliver a food hamper to a family who had nothing because they had just had their pension stolen. God's timing is impeccable! Whilst in Blighty we met a guy in McDonalds in Wimbledon who is battling with MS and the fallout from his wife leaving him because of it. It was a huge blessing to pray with him on a couple of occasions. Here's my favourite from 2013: The battery on my bakkie died and after battling to push it out of the garage my mate Rod suddenly rocked up and was able to help me jump start it.The blessing in this is that he had felt prompted by God to detour from his usual journey to work to come and help me. God is awesome! There were many other blessings, but many of them were deeply personal so I'm not going to share them, but I will enjoy revisiting them again and again. So I will definitely be doing this again in 2014.